What makes a ‘good’ street photograph? Sam Ferris has been shooting on the streets of Sydney for more than 5 years. He is an organiser and co-founder of the AUSSIE STREET exhibition and competition, and is a member of SlowLight international collective. His work has been published in Photo Review Magazine, Capture Magazine, The Sydney Morning Herald, The Guardian, Lonely Planet, Fellow Traveller the magazine of China Rail, and as an Editor's selection on Lensculture. Sam’s images have been exhibited in two featured street photography exhibitions at Head On Photo Festival in Sydney as well as in exhibitions in Europe, the USA, and UK. He has been a finalist and prize winner at Street Photo San Francisco, a finalist in Art and About’s ‘Australian Life’ Photographic Prize, as well as a finalist in Miami Street Photography Festival and Brussels Street Photography Festival. 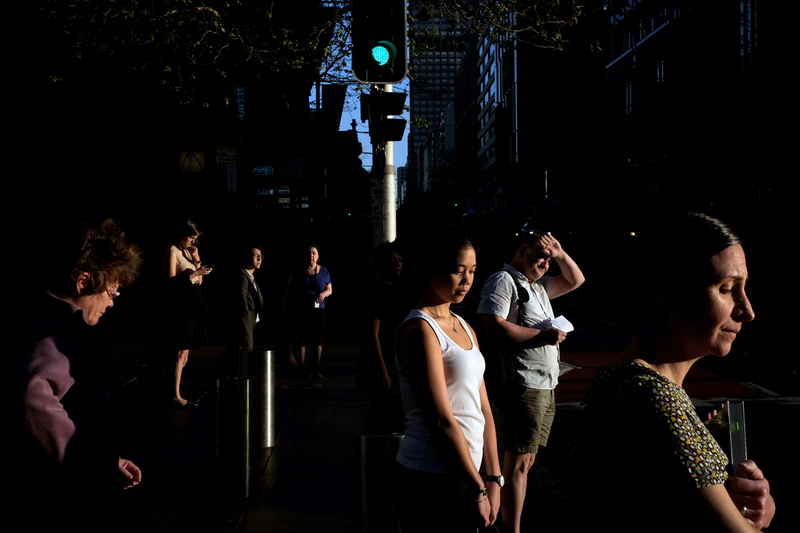 His ongoing project on living in Sydney entitled ‘In Visible Light’ was featured in the academic text ‘Photography as a Social Research Method’ (2016), and recently alongside Trent Parke and Jesse Marlow, Sam was one of three Australian street photographers selected for the book '100 Great Street Photographs' (2017), edited by David Gibson and released by Prestel Publishing. Sam holds an Honours degree in Arts and a Masters of Teaching and is represented by Black Eye Gallery in Sydney. Good walking shoes, camera, spare memory cards or film, laptop, chargers, sunscreen, hat, weather appropriate clothing, water bottle, mobile phone.